Four Injured In Rollover Crash In The Acreage | Schuler, Halvorson, Weisser, Zoeller & Overbeck P.A. 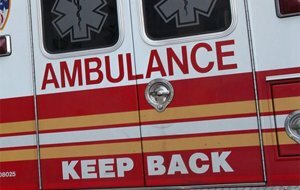 Four people were injured in a four-vehicle rollover crash in The Acreage, Palm Beach County Fire Rescue said. The crash took place at the intersection of Coconut Boulevard and 87th Street North, said Capt. Albert Borroto, Fire Rescue chief. A 37-year-old man was riding a 2014 Honda west on Coconut Boulevard when the crash happened. According to investigators, a Boynton Beach man, 18, was driving east in a 2010 Toyota Corolla and didn’t see the Honda turn left to go 87th Street North. When the Honda and Toyota Corolla collided in The Acreage, the Honda rolled over and a passenger in the Toyota Corolla was ejected. According to investigators, he was not wearing a seatbelt prior to the crash. Paramedics transported to him to a nearby hospital with serious injuries. The driver suffered non-life threatening injuries in the crash. Palm Beach County Fire Rescue said all four people, which included three adults and one child, were transported to a local hospital for treatment. No information is immediately available on the identity of the victims. It’s unclear what caused the wreck but investigations are ongoing.